The steps to getting a mortgage are relatively straightforward once you get past all of the legal-jargon and bank talk. You will still need to understand what you are doing of course and we are here to assist you in comprehending the mumbo-jumbo before you put pen to paper and sign on the dotted line. 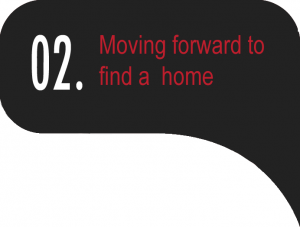 The following information are the initial ground rules for you understanding the buying process. Lenders must review and verify a consumer’s financial information. A lender must document and verify: a borrower’s employment status; income and assets; current debt obligations; credit history; monthly payments on the mortgage; monthly payments on any other mortgages on all owned properties; and monthly payments for mortgage-related obligations. This rule has put a hard restraint to all no-doc, low-doc loans, in which lenders are forced to underwrite better and more responsible mortgage loans. Hence hoping to lower the risk of foreclosure, bankruptcy or other negative debt or credit impacts on the consumer. Lenders must verify, evaluate and conclude that the borrower has the ability to repay the loan. As an example; Lenders may calculate the consumer’s debt-to-income ratio. This is their total monthly debt divided by their total monthly gross income. Verifying how much income a consumer has and is expected to have, and knowing how much currently owe, helps a lender determine how much more debt a consumer afford. How good is your credit, it’s more than a score? We will walk you through a number of scenarios by asking some simple and straightforward questions and from this will be able to give you an approximation of how much you can afford and with what types of loan options are available for you. Once this is completed we will provide you with a pre-qualification letter, which is great bargaining clout when negotiating the purchase of a home as it states in writing that you have started the mortgage loan process and have a strong probability of being able to purchase a home. 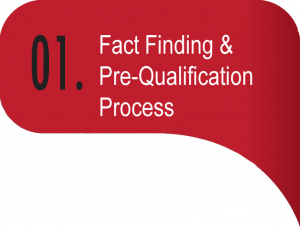 The pre-qualification letter is a good guide for your licensed real estate professional to follow. Your agent should call and review your letter and its limitations before showing you home that may fall out of your price range. Qualifying interest rate, not to be confused with the rate you will be Locked in at, later on. These details about the property you are about to purchase will have a great effect on the total loan amount you are able to qualify for. You should review all these details prior to entering in to a purchase and sales agreement. You and your agent should confirm these details with your loan originator to ensure they fall within the parameters of your pre-qualification letter. Once you have a a copy of your fully executed purchase and sales contract for the new home you are to purchase. Please sent that to your loan originator immediately. There are time frames inside the financing contingency of that contract and time is as of the essence. What this also does is start the clock for your loan originator to properly disclose your mortgage loan details to you. Your loan originator will ask you or assist you in getting some insurance quotes to be able to more accurately produce your Loan Estimate (LE) along with the other proper disclosures to you. Included in this disclosure package is the “Letter of Intent to Proceed”. You will need to sign this and all the other disclosures before we can move forward with your mortgage loan. Remember this is only an intent to proceed and not an obligation to accept or close on the loan. It is very common for you to see differences on the paperwork which you feel is in error. The most common place is in the liabilities section. These numbers are pulled and populated from your credit report. Balances most often do not reflect current balances. We want you to feel free to question all items and ask if they should be changed. The most important items are the correct spelling of your name. date of birth, and social security number. Once we receive these disclosures back from you we will send you a list of items we need to set up your file and get it ready for submission. This will include running DU, LP or GUS*, this is a pre underwriting gauge that helps guide us to get any other addition information that the underwriter may be looking for you with your specific situation. This is a good point to reprice your loan and calculate whether you need a lender credit to help cover closing cost or you wish to buy down the rate in order to reduce your monthly payment. Once we have an “Approved Eligible” from the AUS (automated underwriting system, that’s DU, LP, or GUS) we will call you to discuss the conditions we expect to have to satisfy in order to get you a full loan approval. At this time, we will give you another list of documents we will need from you to forward. This is also the time we will order your appraisal. This stage of the loan process tends to be the most frustrating time for borrowers and real estate agents. Everyone ask the same standard question “are we good yet?” At this time, we will review the conditions we need to meet to satisfy the underwriter for full loan approval. Getting these conditions satisfied is essential. Sometimes these conditions or request for information may sound ridiculous to most people but they are requirements of both or combination of the lender and federal law. Often times, you will submit the required paperwork as we requested only to create more conditions. Examples would be such as a bank statement. This new bank statement may contain a large or cash deposit. The underwriter must verify the source of these deposit as required under federal regulations. Other items that commonly cause issues and possible delays are trust, HOA financials and master insurance policies, surveys, self-employed borrowers with multiple companies or multiple owned properties. Nearing the end of the process here, is to satisfy the all the conditions, along with a satisfactory appraisal for closing outlined by the underwriter. Once all the satisfied conditions have been sent to the underwriter, the underwriter may choose to allow the disclosure team to release the “CD” (closing disclosure) early prior to the “CTC” (clear to close). Most lenders require a CTC before releasing the CD. The CD has a three-business day minimum review or wait time once you, the borrower receives and acknowledges the CD. Please understand this will be reviewed and acknowledge by you. Please understand This will be review and acknowledge by you. It is important to acknowledge it, remember it’s still not a commitment or obligation to close on the mortgage loan, just an acknowledgement of receiving it. At this point your loan originator, processor, closing agent or attorney will start working on finalizing the numbers for your closing. Very important point here is these numbers cannot grow higher they can only be lowered. The above people will work hard at reducing the numbers to the actual expense. This CD must follow all the regulations of TILA and RESPA. Some lenders when a mortgage loan is substantially complete may issue the CD prior to the CTC in order to meet the required closing date on your purchase and sales agreement. Once the CD is balanced out and everyone is satisfied and we meet all legal obligations we will schedule the closing. * DU is Desktop Underwriting program of Fannie Mae, similar is Freddie Mac’s LP and GUS from USDA. These automated programs give the mortgage broker or lender basic eligibility guidelines for that specific borrower. A report of Approved/Eligible with conditions is what the lender or mortgage broker is looking for. If we do not see this Approved/Eligible we need to find out why not and see what the potential borrower would need to correct or overcome in order to get an Approved/Eligible to continue working on the loan process.